Best Buy releases Android app | Android Blast! 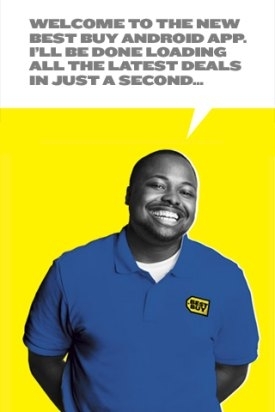 Best Buy is jumping into the app arena by launching their very own Best Buy Android App. The app allows users to make purchases from your phone, read product reviews, and search hundreds of products from Best Buy. The company says the app is in beta as they plan to make more improvements in the future. Plans for the app include a store locator, improved search, add Reward Zone features, more offers. You can download the app at the link below, or just scan this image with your Android phone.